Disney is working on a number of ways to allow guests to enjoy full freedom of movement in a open virtual reality environment, without accidentally walking into walls or other people. A patent application filed by Disney Enterprises, Inc. describes some unique technology systems that would make it possible for multiple users on the same platform to walk freely, without ever leaving the same space. The patent is titled “Floor Systems Providing Omnidirectional Movement of a Person Walking in a Virtual Reality Environment,” and it references previous attempts by others to achieve this goal. Companies have developed systems where a user walks on everything from multiple treadmills to a giant hamster ball, but those all suffer certain problems: they are noisy, take up space, and most importantly, don’t allow for more than one person to use at a time. A platform of small vibrating plates could be used; when something vibrates, it affects friction. A walking surface made up of independently working plates could vibrate on and off under a user’s feet, moving on different axis. The system would be able to increase or decrease the friction as the user steps, “catching” the foot with friction or letting it slide over. The friction would be reduced with vibrations on the z axis, or with ultrasonic transducers on the bottom of the user’s shoes. 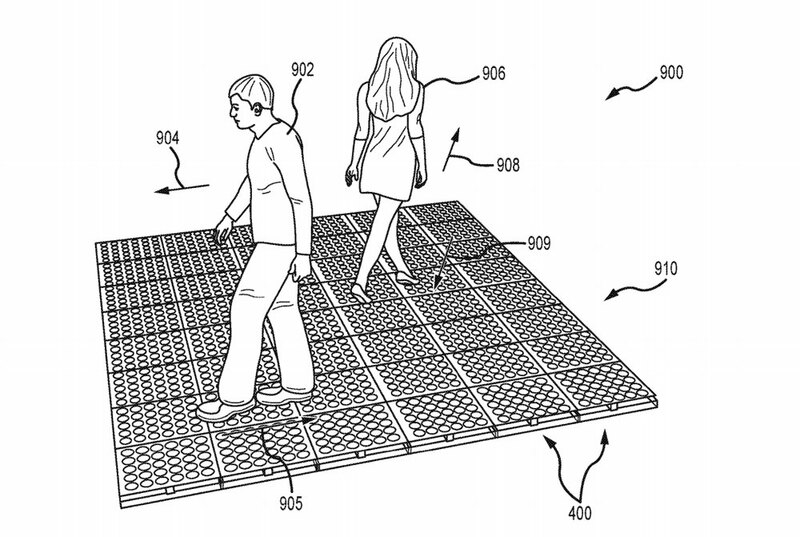 The floor would be able to subtly move and direct the user in this way, with the tiles slightly changing position as the user steps in a manner the patent describes as a “ratcheting” or “inchworm” movement. This would allow the system to control where users are located in the real world as they walk freely in a virtual environment, keeping them from walking into the surrounding walls or each other. Another system would involve small rotating disks instead of tiles. Each disk would be tilted to have a raised contact area, with all of the contact areas combined to form a planar surface. These could be rotated together or separately to determine the user’s direction in the real world as they walk, once again keeping them from colliding with the real world boundaries or another user. 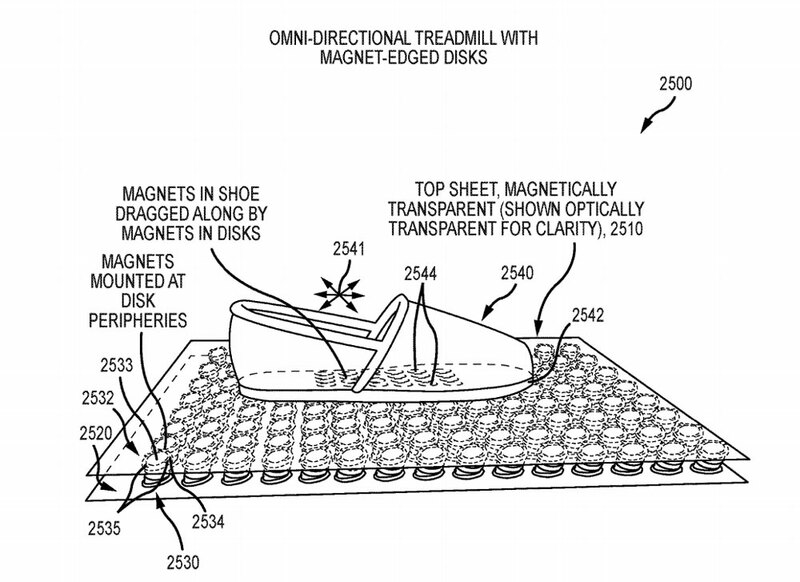 Lastly, in some systems magnets on covered floor tiles, disks, or a treadmill and the user’s shoes could be used to provide friction or a pulling force to alter direction. 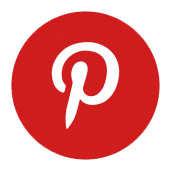 The existence of an application does not guarantee a patent’s approval, and an approved patent does not guarantee the technology’s use. The document does once again confirm Disney’s increased research into virtual reality attractions, though. Although a statement from Bob Iger had promised that Disney Parks will not add VR attractions to their roster in place of traditional ones, that may not last forever. Most likely though, we would see this technology implemented in separate Disney experiences, similar to The Void hyper-reality Star Wars experience in Disney Springs and Downtown Disney.